I reply the same day saying that I could be in Bali that day. On Tuesday I get a reply asking for my fee. On Thursday they confirm the booking. I tell me wife I will be gone 2 days starting tomorrow. On Friday I fly to Bali and arrive at 5 pm. I go down to the beach where the client is having a networking event and we sit down in the bar and he begins to brief me on the company, the industry and the theme of the convention. 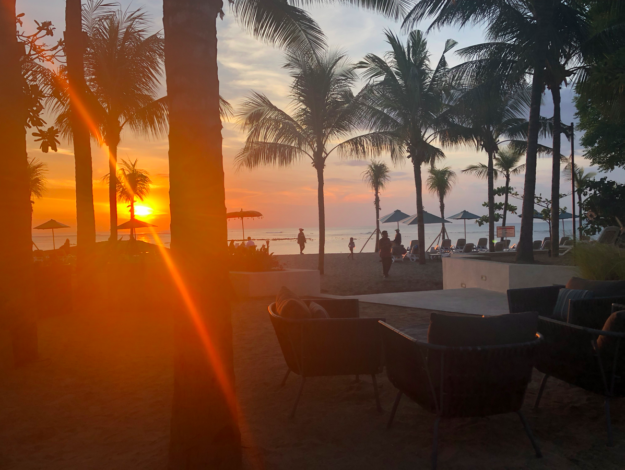 As the sun sets over Bali I learn about the speech I am going to give. I go back to my hotel room and do my slides. On Saturday morning I go on stage and give my speech. That means that less than 120 hours before I stood on stage I did not even know I was going to be on stage in Bali on Saturday. Is this a normal set-up for a keynote speaker? But it is clearly so that the time between when a speaker gets booked and when the speech happens has become shorter and shorter. It is important for speakers to understand that as the world changes faster and faster and topics for conventions are decided last minute, speakers need to prepare for a world where they might not know where they will be speaking – or for who – until just a few weeks before. If you want a life as a professional global speaker you need to be ready to fly out on short notice. Have you build your life around being able to do that? Personally I love this aspect of not fully knowing where life will take me. For me this week it meant that I ended up on a beach in Bali just two days after getting the confirmation. How are you supporting the ones that come after you? When I became a professional speaker at the tender age of 27 I really did not have any mentors. The idea of going to other speaker’s to ask for advice didn’t really occur to me. I tried once and approached one of Sweden’s most successful speakers at the time to ask some questions, but he brushed me off, not interested in helping “a kid” like me. That brush-off I will always remember. Maybe that is why I feel a need to help up and coming speakers, and why I feel it’s right to share so much about how I look at building a speaking career. Helping other speakers is something I have done from the start, and after I got involved in speaker associations I have intensified that work. One of the people I helped recently was a women who on her spare time was practising kick-boxing. She had taken to kick-boxing late in her life but managed to go from novice to black-belt in six years. She explained to me that you get the different belts (white all the way to black) because you become better and better in doing harder and harder sequences, ie you get better and better at learning how to kick-box. But you do not become a “Master” until you start teaching OTHERS to get black belts. The masters are the ones that teach. The masters are the ones who share their knowledge. To be a master it’s just not enough to be good at what you do – you also need to help guide the next generation. And as I have the ambition to be a master at professional speaking I have dedicated to help others. I am a mentor in APSS and have also outside of that mentor program mentored 100+ speakers around the world. And in a few weeks (11-12 May 2018) the Asia Professional Speakers Convention (www.AsiaProfessionalSpeakersConvention.com) will take place in Singapore. 30+ speakers will share their best advice to 200 speakers from all over the world, and I am the convention chair. All the examples above are things I that I do to inspire more young people to become speakers/authors/thought leaders. The funny things is that the more I do these projects, the more rewarding I find them. In one way, I feel them to be some of the most valuable and meaningful work that I do. I do not care if you just started your speaking career or if you – like me – have been speaking for decades, there will always be a person with less experience than you. Someone who is looking to learn from you. Today my message in this post is: reach out to one of those people and help them. A couple a days ago I was inducted into the Hall of Fame of the Professional Speakers Association of Namibia (PSAN). It made me very proud. Not because I think I am in any way famous. (I know am not). But because I believe I was inducted because the members of PSAN wanted to acknowledge my passion for spreading knowledge around how to speak professionally. 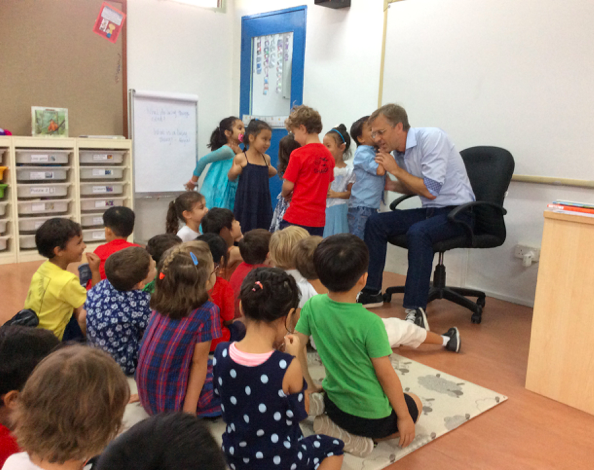 As professional speakers we must remember that we get selected because of our passion and knowledge about the topic we speak on, and how we deliver that message – not because of who we are or how famous we are. Of course for “celebrity speakers” – speakers selected because they are famous – that is not true. Celebrity speakers can be terrible on stage and lack a strong message and they only get selected because “they are famous”, but celebrity speakers is not the norm. For most professional speakers the truth is that we do not get selected because we are famous, but because we are known for being good by the people who book speeches, or the people who know those people. There is a big difference between “being famous” (which means “known about by many people”) and being “known about by the right people”. As a professional speaker for 22 years who have been invited to speak in 67 countries I have never really bothered about being “known by many people”. I off course try to spread my message to as many people as I can, but I do not spend a lot of time, energy or effort trying to make myself a “house hold name”. But I do want the people who are part of the speaking community (event organisers, fellow speakers, people who book speakers) to know who I am an respect what I do and how I do it. 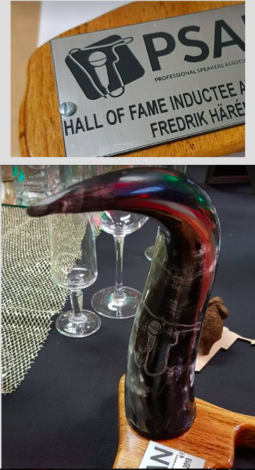 And perhaps that is why I became proud when a group of professional speakers in a country like Namibia decide to induct me into their Hall of Fame. Or how I felt happy when the world’s professional speakers associations last month decided to give the “International Ambassadors Award” to me. As a professional we do not need to be know by “many people”. We do not need “fame”. We just need to be known by the right people, for the right reasons. When it comes to speakers we need to be known for the love for our topics, dedication to the craft, commitment to becoming better as speakers and an interest to always want to learn new things etc. The right people need to feel our passion. So do not go for “fame”. Go for “flame”.